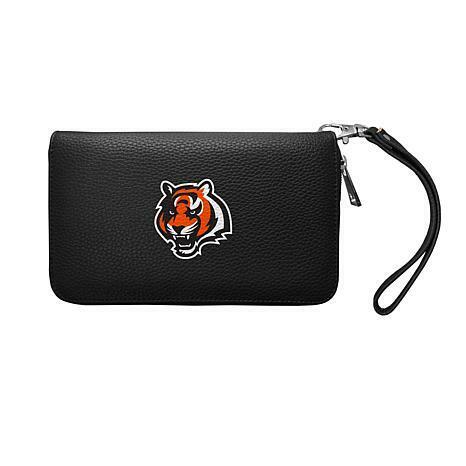 Hold all your essentials in this supple faux pebbled leather organizer that features your favorite NFL team's full-color logo. Use it as a wallet or turn it into a wristlet with the included strap and know that it looks just as great at the tailgate as it does after the season is over. Go team!